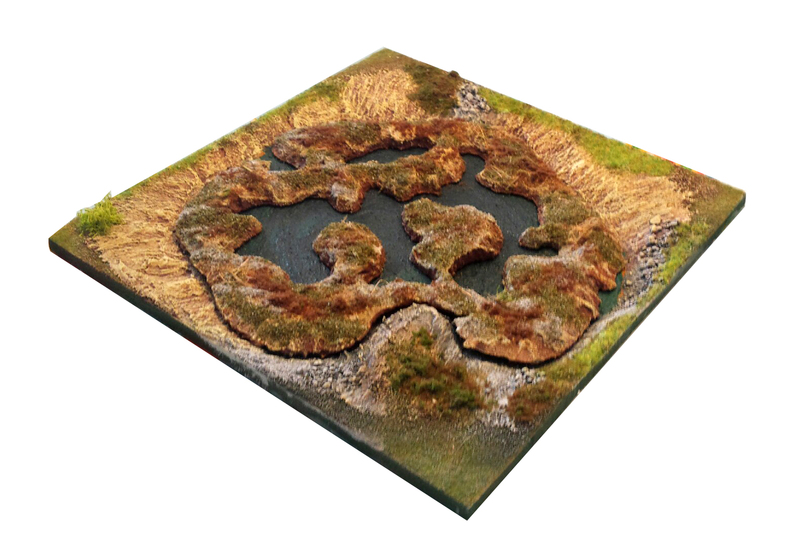 Pedion: Last Four Days to get your PEDION Modular Terrain! 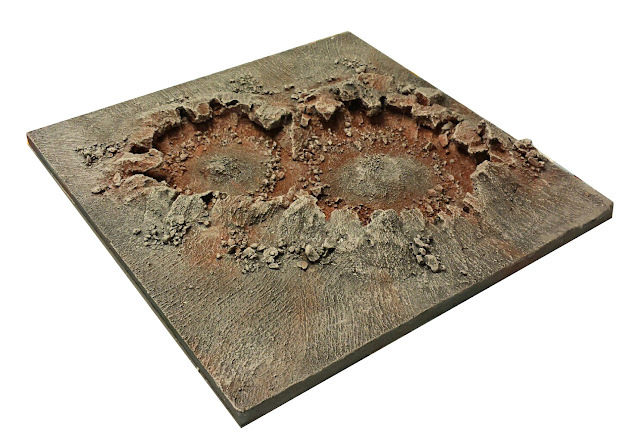 Last Four Days to get your PEDION Modular Terrain! It seems that after hitting the infamous "mid-campaign" sluggishness, the Pedion Kickstarter campaign managed to reach the £25000 pledge sum, unlocking the Pond/OxbowLake/Marsh Tiles. 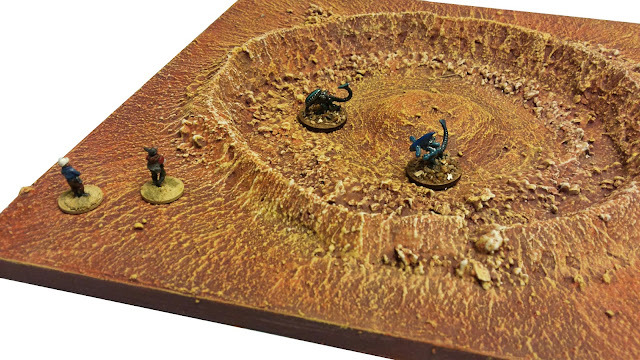 Now, it is the last four (4) days of the campaign - for Pedion's to become even better and for you to get an even greater variety of battlefields. So, if you were planing on pledging, now is the time! help Pedion become even better. Even if you think about getting lots of terrain afterwards, a pledge now can mean wonders for Pedion's future. And speaking of future, let's take a look at those Stretch Goals! 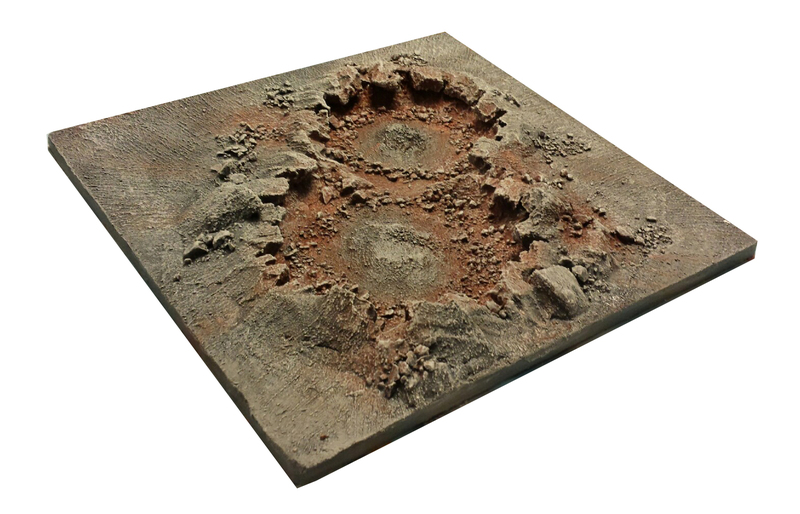 The £25000 Stretch Goal unlocked a series of tiles and upgrades, which actually are based on the same base design, and their production will use the same mold. 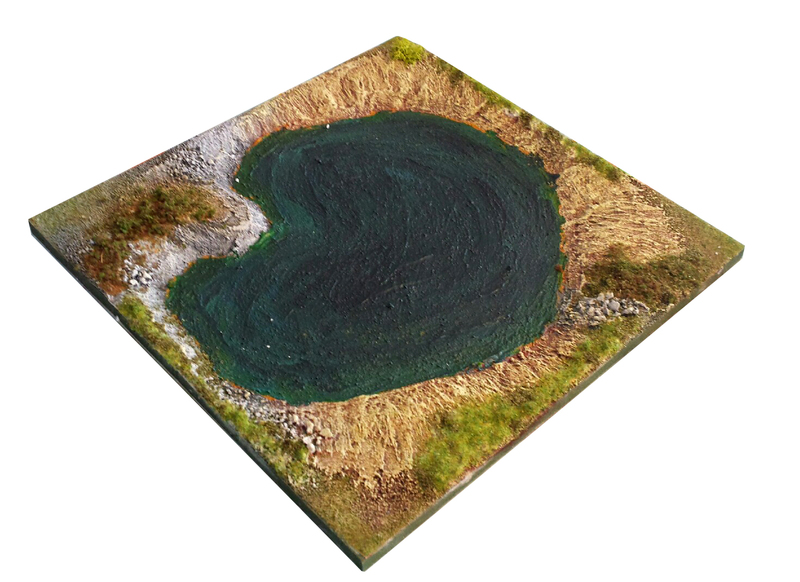 The two tile types are the Pond (small lake) Tile and the Widening River Tile; both tiles can be converted to include marshland! 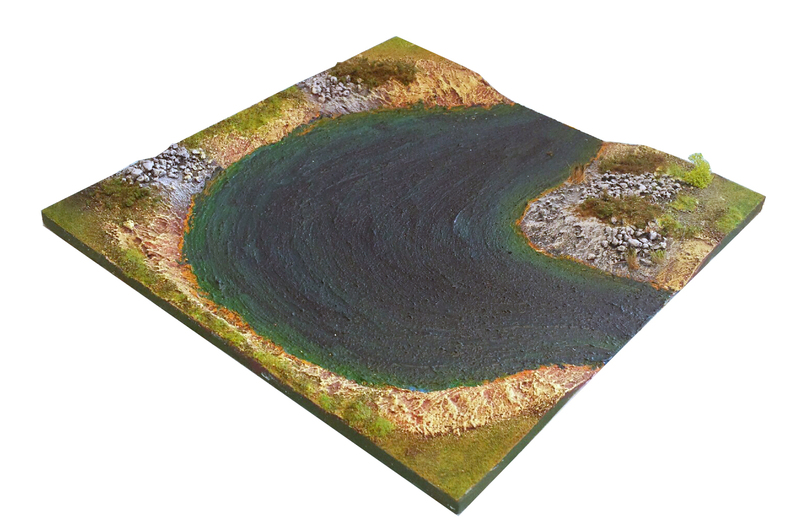 The River Widening is a special river tile (a river Turn, joining to the rest of your river tiles) which meanders and the water is in the process of creating an oxbow lake. 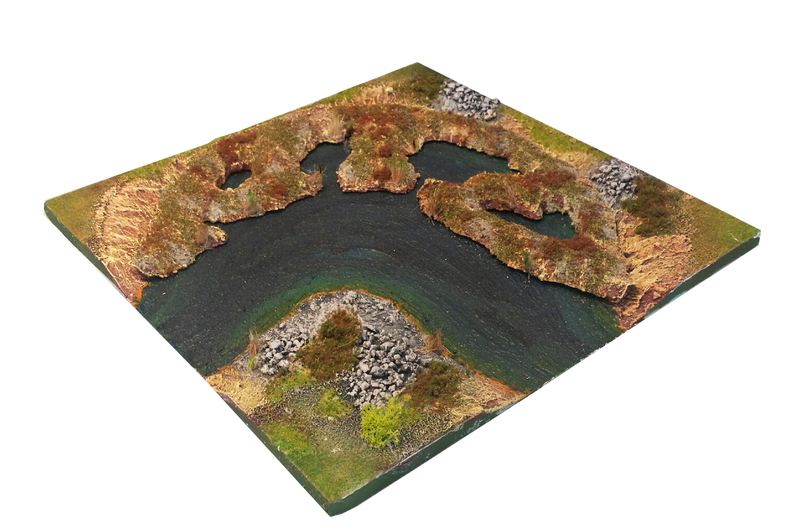 *Expect the final Marshland add-ons to be made from much thinner resin, in order to fit more seamlessly on the river/lake sides, to reduce slopes and to keep the whole marsh on a lower elevation. Although we are nearing the end, there is a number of Stretch Goals that we may unlock yet! The closest one, on terms of pledge total, is the availability of two new ground variations when we reach £28000, both more suitable to a Science Fiction setting: the "Red Planet" and the "Grey Wastes". 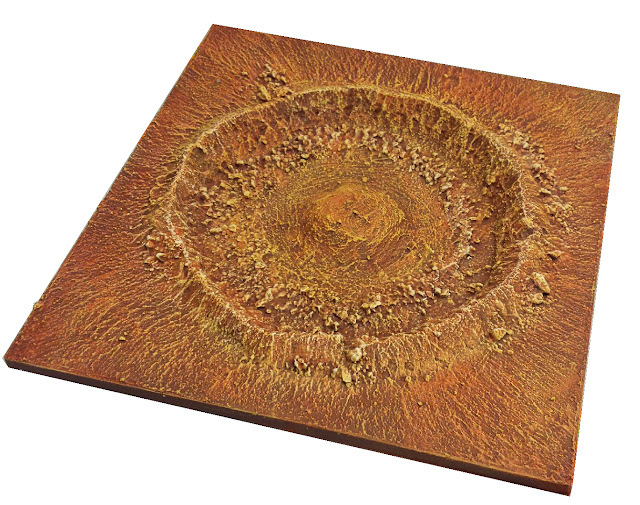 These new variations will also unlock a new type of Tile: the Crater tile. So what are you waiting for? 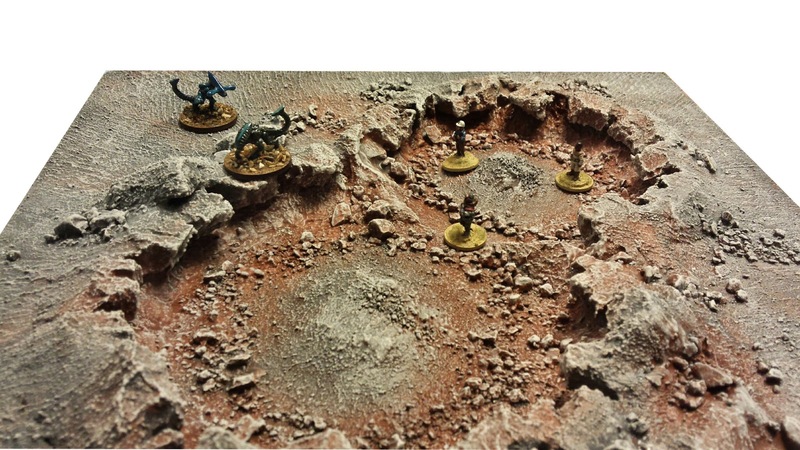 The time is now - pledge, spread the word, bring your friends in and get the last terrain you will ever need!